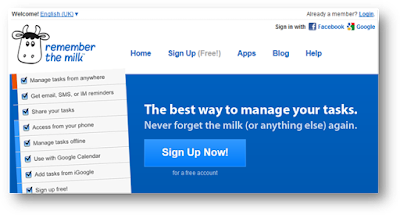 Remember the Milk (RTM) is an application service provider for Web-based task- and time-management. 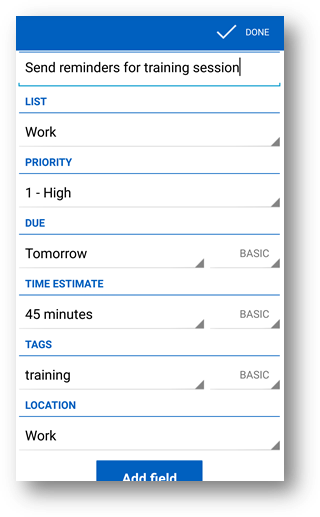 It allows users to create and keep an organised to-do list from a computer or smartphone, both online and offline. Difference between RTM and tools such as Google Calendar are that events go in the calendar and tasks go in a task manager like RTM. 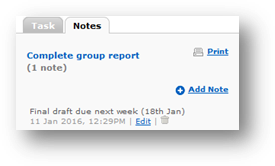 A task is for example ‘Set up a meeting with Chloe and set the due date for task completion Wednesday afternoon. When the date and time for the meeting has been agreed with Chloe you create an event in your calendar, such as Google Calendar, Meeting with Chloe Wednesday 24th Feb 14:00. 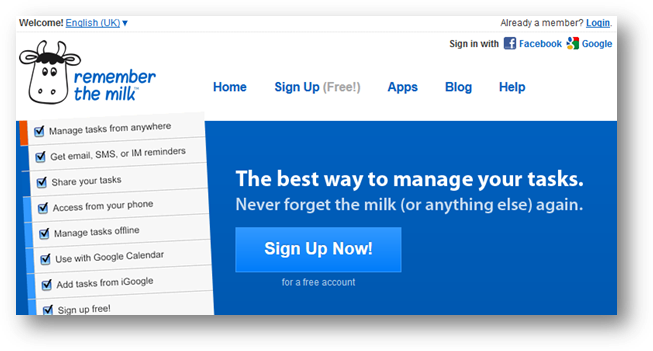 Navigate to www.rememberthemilk.com and click on the Sign Up Now! button alternatively you can create an account quickly using your Facebook or Google account. To save your task simply click away from it, or press Enter when done. 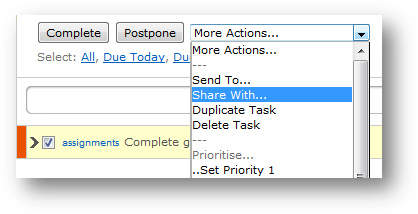 Due - Set a due date for the task. You can type in a date: 01/01/2010 or just add a period such as Tomorrow, Wednesday or 1 month. 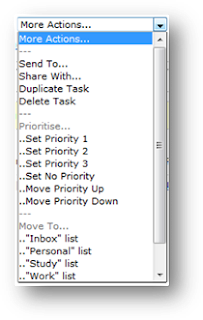 Repeat – to set a task to repeat enter the repeat interval in the text box and then press Enter key to save. You can insert the one of the following entries in the repeat field such as Every week, Every Monday, Every weekend, Every month, Every year etc. Alternatively you can also enter repeat After 3 days, After a week, After a month, After a year etc. Time estimate – enter how much time you think it will take to complete the task, eg 1 hour, 30 mins or 1.5 hours etc. 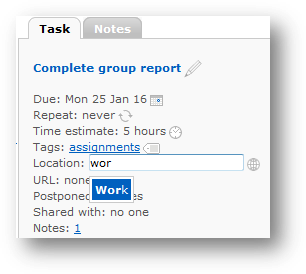 Tags – add tags to tasks to help you locate and organise later. For example you can tag a task as 'assignment', and then later when you are looking for tasks that relate to assignment simply click that tag to see the tasks with that tag. 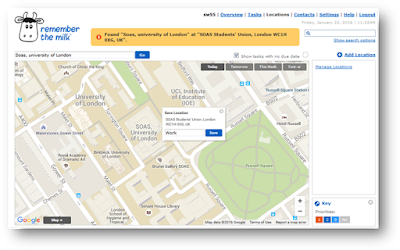 Location –add a location that is associated with your task. 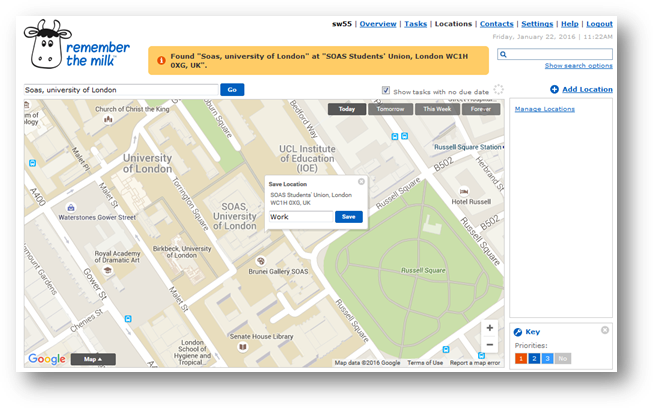 Start by clicking the Locations link (along the top) and then find your location by using the search function. Once you have found your location provide a name and the Save button. URL - enter the URL in the text box provided, and press the Enter key or click on the link icon again to save. Postponed–this displays the number of times a task has been postponed. You can postpone a task by selecting a task(s) that you wish to postpone then clicking Postpone or use the shortcut key p. This will extend your expected task completion by 24 hours. Please note the person(s) you are sharing tasks with will need to have a Remember the milk account. A word of caution when sharing your tasks to others you grant them the ability to amend your task. 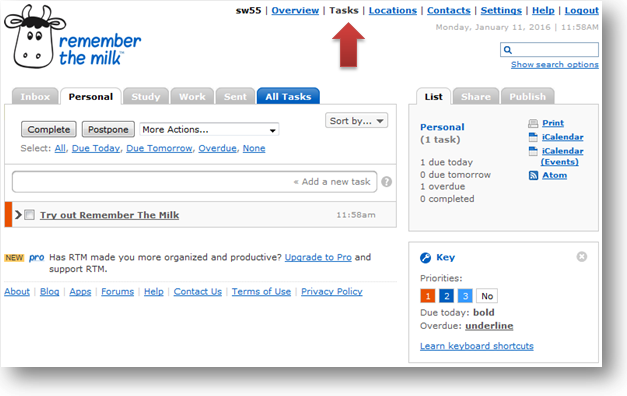 Notes – if you would like to add a bit more detail to your task you can attach a note (unlimited number) to each task. To gain access to more options click on Settings along the top of the page. General – allow you to amend account credentials. Lists - create new lists and manage existing ones. Tags – merge, delete and manage tags. 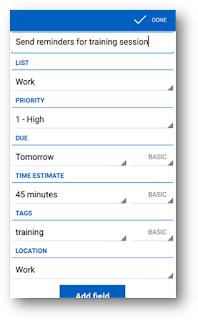 Locations – set your default location, view completed tasks associated with location and delete location entries. 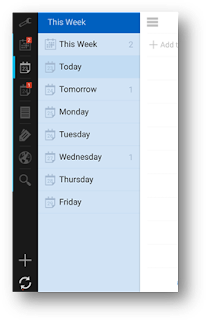 Reminders – set your daily reminders and how you wish to be reminded, such as mobile, email, Google Talk and Skype. Services – lists all the third-party services that you have given permission to interact with your RMT account are listed here. Sync - synchronise your RMT tasks with other software and devices such as Outlook, BlackBerry and Windows Mobile (paid version). Info – view useful account details, such as username, import email address and iCalendar. RMT is available on mobile devices on iOS, Android, and BlackBerry platforms. RMT also has the ability to integrate with Gmail, Google Calendar, Outlook, Evernote, and Twitter. · Synchronize your RMT tasks with Microsoft Outlook. · Send emails to your RMT account to create quick task, which appear in your Inbox. · Apple users can utilise Siri (iOS devices) to add tasks to RMT. Simply ask Siri to remind you, and the task will be instantly added to RMT. · Twitter users can interact with existing tasks or receive reminders. 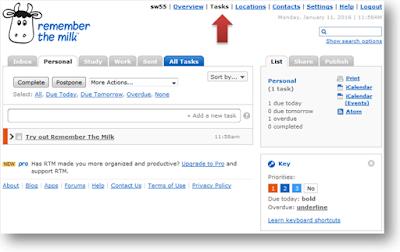 · Manage your tasks from within Gmail and Google Calendar, and others. 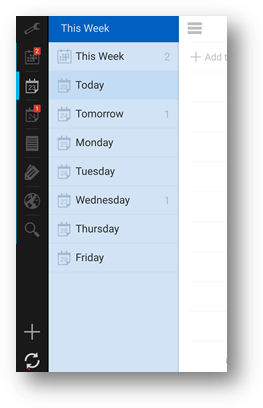 · Use the iCalendar feeds to subscribe to and access your lists from various calendar apps. Although there are many other tools out there that are similar or superior to RMT, such as Wunderlist and Todoist, RMT provides a host of features and is a simple solution for managing your tasks effectively whether it is on your desktop or on your mobile.